The next installment of Star Wars, Episode III Revenge of the Sith (ROTS), features 68 basic Action Figures, plus 4 limited sneak preview figures, various vendor exclusives, and 2 transition figure packaging. For new collectors, all basic action figures are apporximently 3 3/4" in size - the standard sized action figure. Grading: All are C75/8+ (case quality) unless noted). 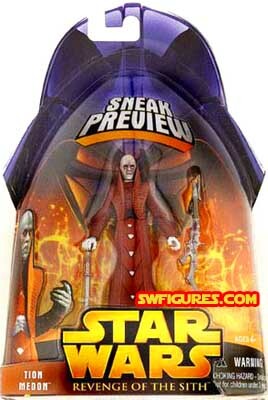 Sneak preview figures are unique in nature as they pre-date all other Revenge of the Sith action figures. 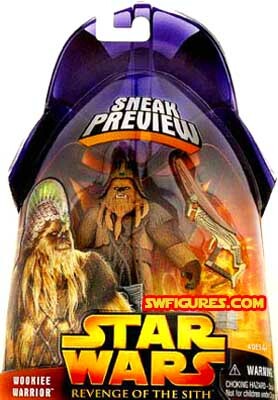 Packaging will show "Sneak Preview" to differentiate this set from other action figures.